I noticed that last night on my Echo and Fire TV both. Ugh the chime was so much better than the OK, I want it back dammit! I have a tilt sensor on my garage door, and can see when the door is open in ST. Is there a way to ask the Echo if the garage door is open? Unless you are rather skilled in the Alexa Skills Kit (ASK), then no…there is a way. However, with my app, Alexa Helper you can ask for a “Garage Report” and if you have a compatible speaker (i.e. Sonos) it will tell you the garage status. However, this is not really using the Alexa except for triggering the report. Have you tried asking it to “Discover” while your own profile? Yes I have… it doesn’t discover anything new. I seem to recall hearing that Smart Home settings were tied to a specific Profile (which didn’t seem great, but then I figured you could at least duplicate the settings manually from one profile to another). Maybe they only work on one profile? Any clues in the Alexa mobile App? I’ve confirmed this behavior. Researching. … it doesn’t discover anything new. OK: It definitely should discover it’s own set of smart devices on each profile. I was able to discover my Philips Hue Bridge and its bulbs just by saying “Discover”; well… maybe. This is so messed up. I guess I have to login to the Alexa App under the other profile’s login ID, but I don’t know what that is… He’s not home right now. But I don’t know (yet) if you can authorize each profile to SmartThings and thus have your SmartThings on both profiles. I was able to do it, changing profiles was not enough… I had to physically log in from my own amazon account for it to work. That was something that changed ( not for the better ) with one of the Amazon updates. I noticed a few weeks ago that even though the Echo on our daughter’s account was linked in Echo app and showed in list of devices on echo.amazon and on same LAN, it could no longer control any of the HA devices. It still shows as Linked to ST ,but does not show any devices. Yes and no. you can choose 2 " parent" accounts to link. However in Echo app or website , or voice command you have to choose which library to use. In out case play from my library, ir play from Elizabeth’s library. However even with linked accounts you can NOT listen to the other family member’s library using Amazon music app on phone/tablet. If the wife is listening to music on her phone/tablet at work it disconnects Echoes at house and vice-versa. Although it appears all echoes count as one device, because I went through the house and had music playing on 4 Echoes at the same time, opened Amazon music on phone and as soon as I hit play I got the " Amazon music is already being used on another device, would you like to stop playing on that device… "
You wouldn’t be able to ask a question and have the echo respond but using LANnouncer, you could have the echo announce when that contact opens. I want to know if smartthings hub can control hue bulb directly ,thanks a lot. It can, and some community members do set it up that way, but smartthings officially only recommends using the hue bridge because there is a problem where once you have connected a hue bulb directly to the SmartThings hub you may not be able to reset it again unless you buy yet another device. This is because the SmartThings hub uses the ZHA profile and the hue bridge uses the ZLL profile, and once you’ve connected the bulb to the hub you won’t necessarily be able to switch back. Also, you will need a custom device type handler to use a hue bulb which is connected directly to the smart things hub but there are some available in the community. Thanks for your so quick and professinal answer. I am a fresman in the community. and I have slold hue copatiable bulb online. Actually ,my bulb can copatiable philipse hue bridge very well and sold a lot. Now I want to know if my bulb can compatiable to smartthings ,I am interest in it . but now ,I have not smarts hub beside ,that is why I want to answer the question. 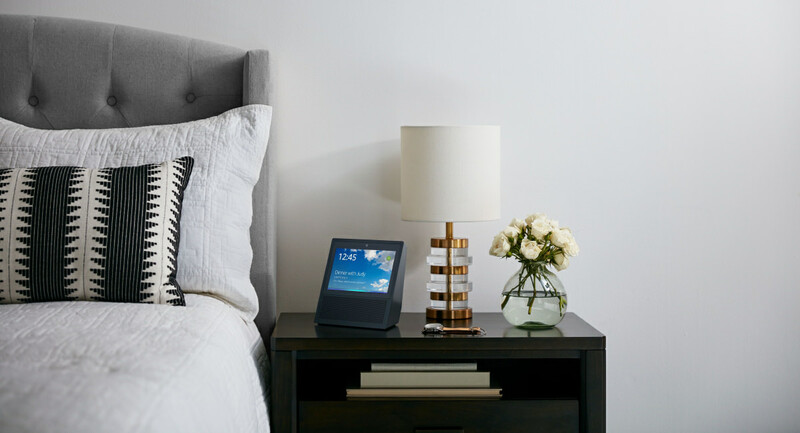 Does anyone know if there is a Device Handler that can be installed in the IDE that allows the Amazon Echo to be treated as a SmartThings TTS capable speaker? It seems like a reasonable concept to use the Amazon Echo as a Sonos connected SmartThings device.